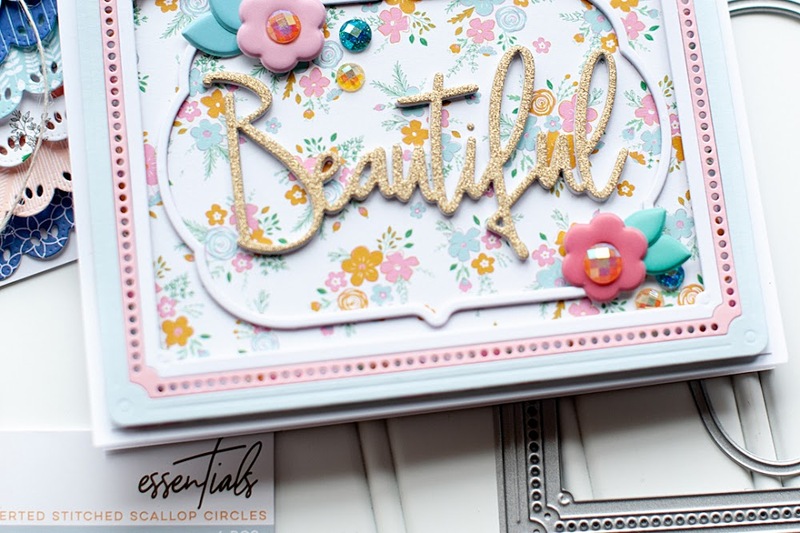 I have written about this before, but the texture in GCD Studios patterned paper is to die for!! I just adore it! A lot of the techniques that I have done in the past are about this textured paper, and I have yet another one for you!! 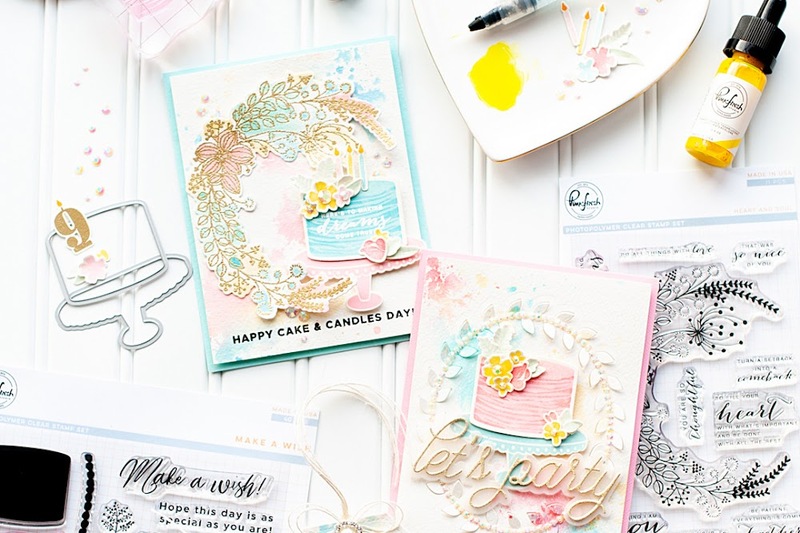 This month, I want to show you how stamping on this textured paper makes for a different and beautiful looking image! 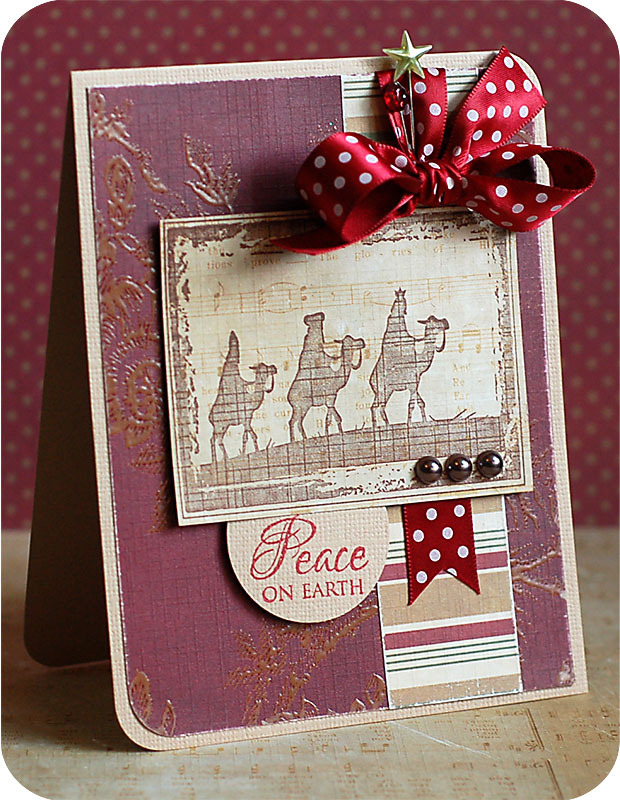 I used the new GCD Studios "Joyful Peace" collection for my cards today...and they were just perfect for the stamps!! First up, gather the few supplies you will need. 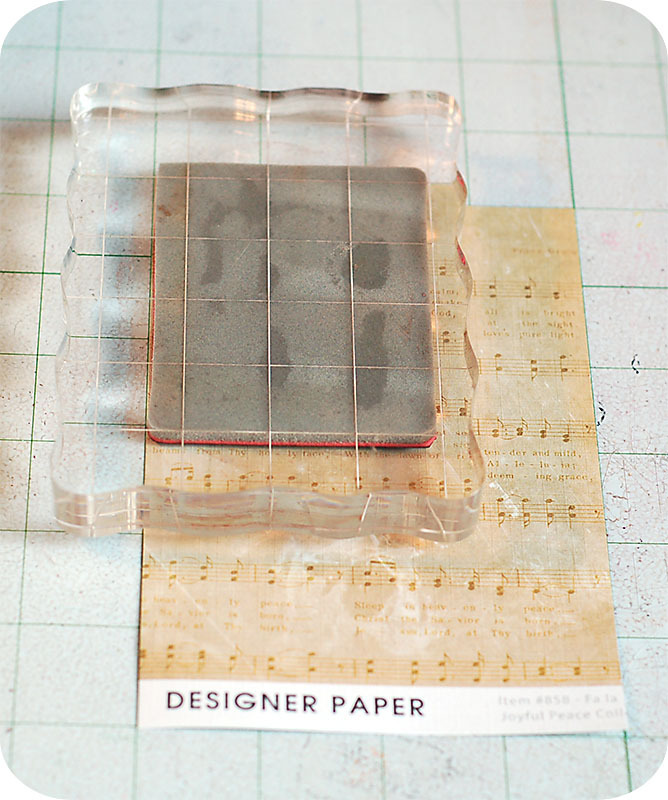 I have a piece of textured patterned paper, the stamp I want to use on a clear block, and the ink I want to use. Ink the stamp up so it has an even, thick layer of ink on it. I choose to use Clearsnap pigment ink (chestnut) when doing this technique. This is because it doesn't dry super quickly, so you have enough time to get it on the paper. 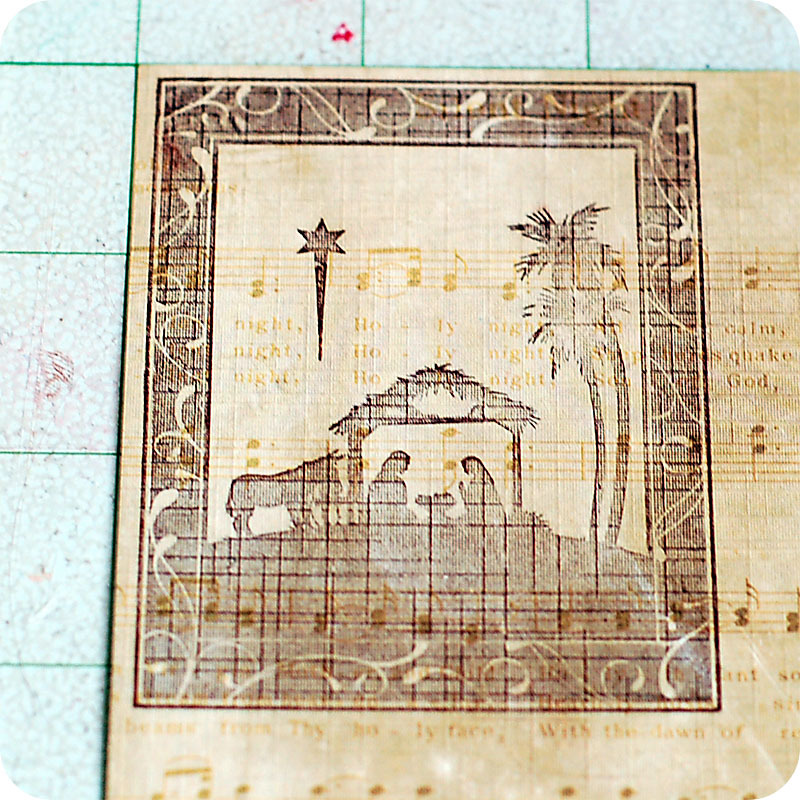 And on the textured paper...it actually does dry pretty quickly when you are done stamping. 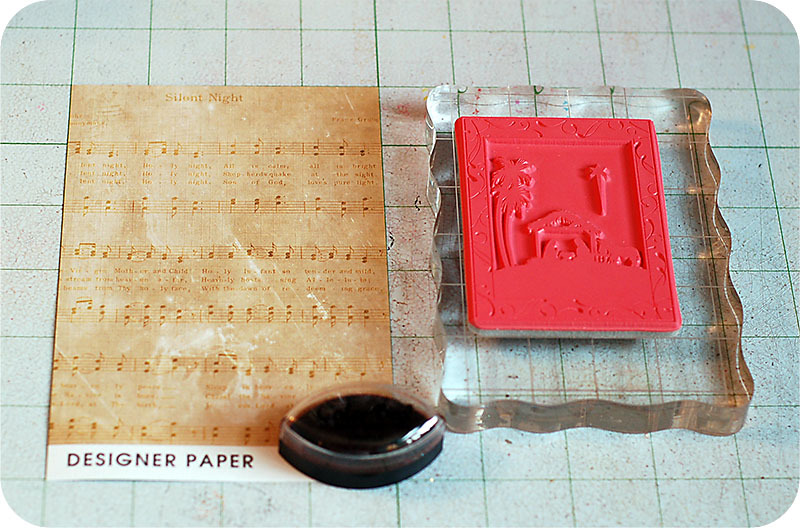 Be sure to add even, but fairly heavy pressure to the stamp when you are stamping it to the paper. This is what the stamping looks like when you are done. Doesn't the texture give it such an amazing look and feel? I just love it! After that, design and decorate your card. 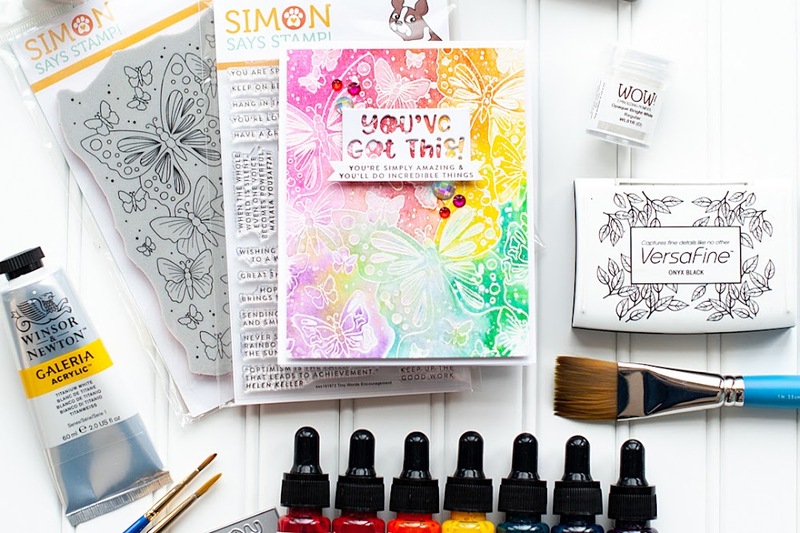 Here is what I came up with using this fabulous stamped image above. Notice that I have also stamped the sentiment onto patterned paper using Vanilla Cream pigment ink. This paper is the backside of a GCD Studios patterned paper, so there isn't as much texture. Here is another card using the same technique! P.S. 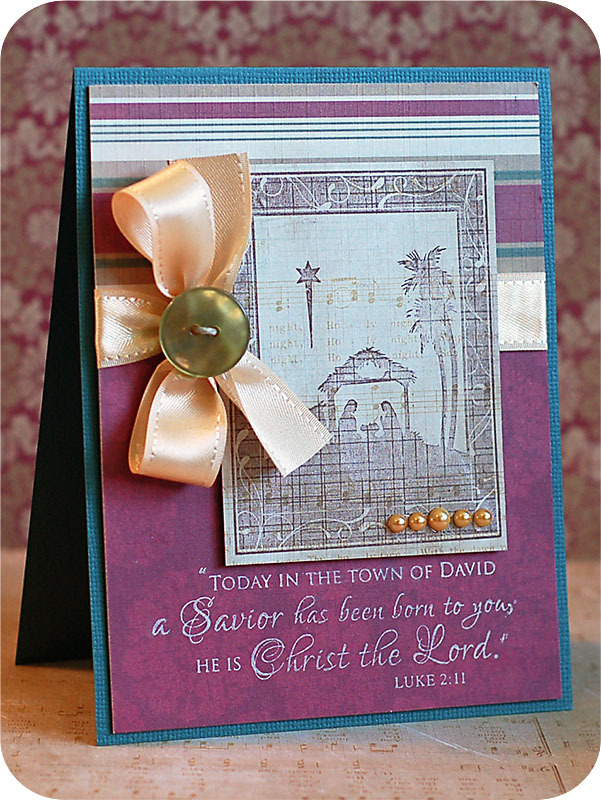 All stamps on these cards are from the Taylored Expressions "Christmas Blessings" set.